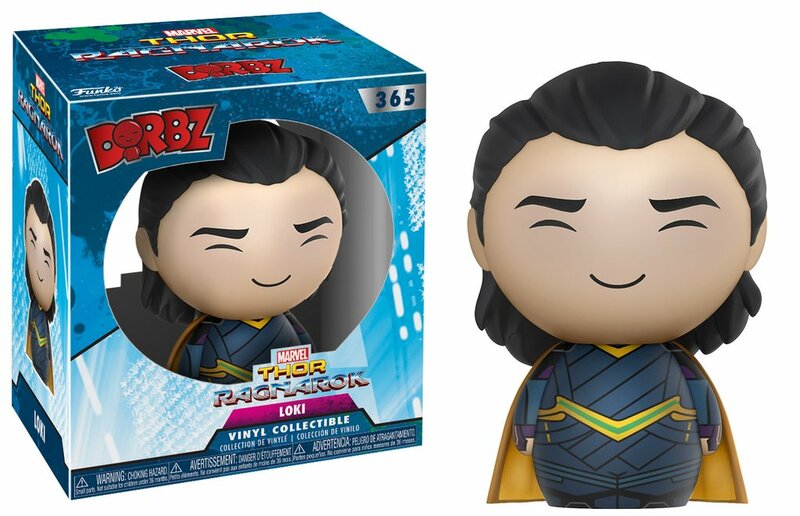 Judging from the track record of director Taika Waititi, who made films like Eagle vs. Shark, What We Do in the Shadows, and Hunt for the Wilderpeople, as well as episodes of Flight of the Conchords, it’s pretty easy to deduce that Thor: Ragnarok is going to be funnier and a lot more quirky than most of the other movies in the Marvel Cinematic Universe (other than Guardians of the Galaxy, of course.) That said, I’m very excited for it, and I love how Marvel is confident enough to allow directors to bring their own unique perspectives to their franchises. 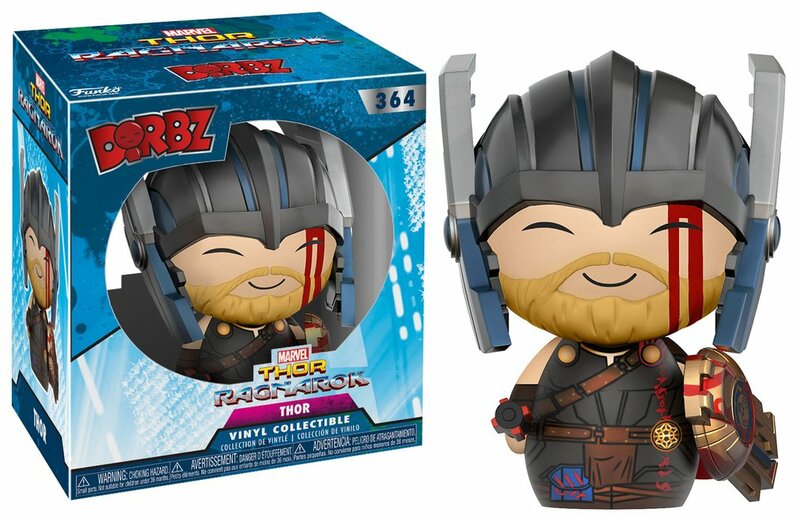 If you’re looking forward to Thor: Ragnarok as much as I am, you might want to grab some of these Funko Dorbz characters, based on characters from the film. 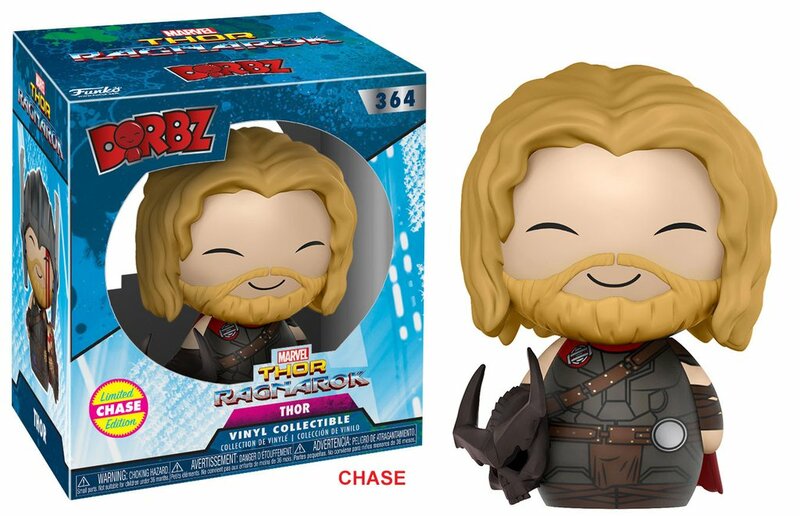 There’s a big-headed Thor, complete with his fighting helmet, as well as a rarer “chase” variant without the helmet, and a full head of the Asgardian’s flowing blonde locks – presumably before they get chopped off. 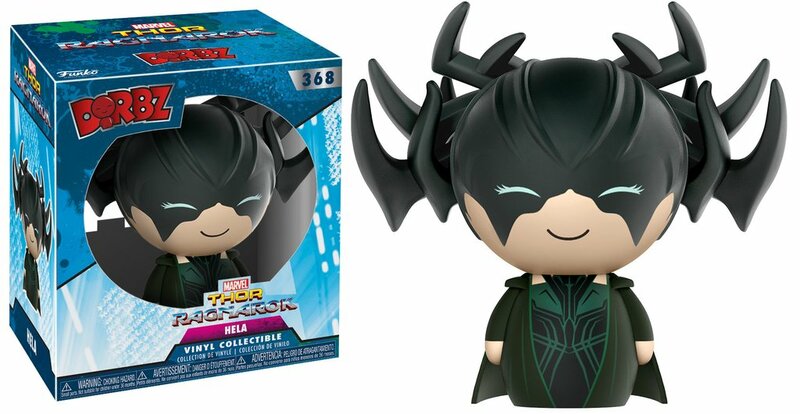 The Loki figure is downright dull, but Hela is hella awesome, creepy headgear that’s somewhere between a set of antlers and an upside-down Alaskan king crab. 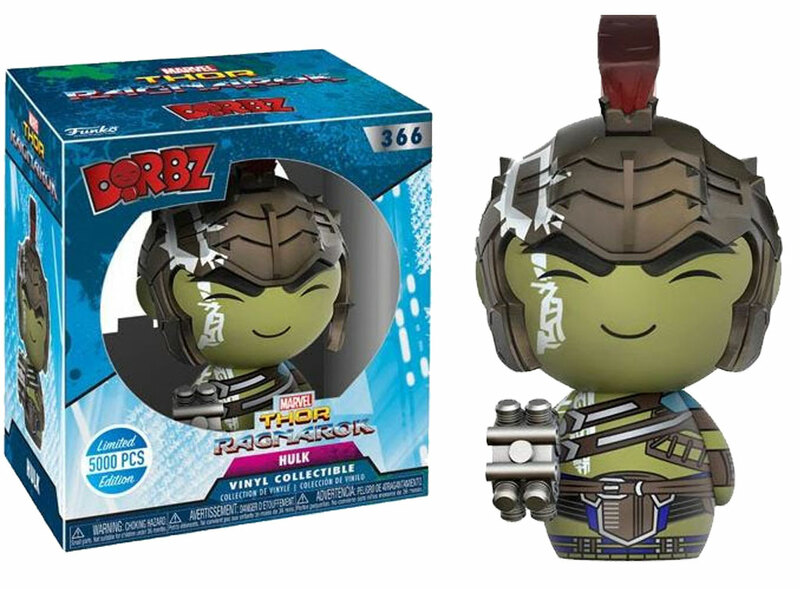 And while it’s fun to see Hulk wearing a gladiator helmet, it’s hard for me to buy a figure of him that’s not at least 3 times bigger than the other toys in the collection. That said, he is limited to just 5000 pieces, so you should grab one now. All of the figures are available now over on Entertainment Earth, and are going for just $7.99(USD) each.